Graham Cornish, author of Copyright: Interpreting the law for libraries, archives and information services, provides this guest blogpost. All week we have been publishing blogs from the authors of our copyright books in the lead up to the CILIP Copyright Conference on Friday (tickets still available!). Copyright: Interpreting the law for libraries, archives and information services has been a first port of call for library and information staff for 27 years and is now in its 6th. edition. Often referred to as “Cornish on Copyright” it aims to be a one-stop reference tool to answer specific questions posed by readers, staff and anyone needing to copy or publish something. Deliberately designed as quick-reference tool, it avoids legal jargon and leading the user into the arcane underworld of the complexities of copyright law. Copyright is a dynamic topic, despite the glazed look on some people’s faces when the word is mentioned and is at the heart of our profession. Like Janus, we look both ways: protecting the rights of the owner whilst maximizing access to information for our users. The consequence of this is that no book can be totally up-to-date and the law and its interpretation are changing all the time. Just as this edition went to press the High Court struck out a whole clause as the consultation on its content was deemed inadequate. We are still working out the implications of changes to the law relating to surface design of manufactured items. That hideous teapot that looks like an elephant and is your auntie’s pride and joy may suddenly have more significance in copyright terms that it did 12 months ago! Here are the answers to ten tricky copyright questions taken from the book (which also contains the answers to 851 other copyright questions!). Q1. Why is copyright so often ignored by users? A. Because it is such an intangible thing, there is often a temptation to ignore it. Those who take this approach forget that they, too, own copyright in their own creations and would feel quite angry if this were abused by others. Some of the restrictions placed on use by the law may seem petty or trivial but they are designed to allow some use of copyright material without unduly harming the interests of the creator (author). With the rapid growth of social networks, individuals are becoming more aware of the value of their creations such as photos and poems. Q2. When does a work based on another work become original? A. When sufficient time, effort, technical skills and knowledge have been used to make it reasonably clear the work is a new one and not merely a slavish copy. Example: If you write your own poem about Jack and Jill, it is protected. If you simply reproduce the well known nursery rhyme with one or two minor changes, the reproduction is not original and not protected – but if you photocopy or scan the poem the typographical arrangement may be protected. Q3. Who owns the copyright in children’s work in schools? A. Despite the general myth that it is owned by the school, the child who creates anything in school owns the rights in it and it cannot be used for any purpose without the child’s (or guardian’s) permission. Q4. What is the difference between a literary and a dramatic work? A. A dramatic work is the non-spoken part of a presentation, which gives instructions as to how the play is to be executed. The words of a dramatic work are protected as a literary work. The term ‘dramatic work’ also covers choreography, dance and mime. Example: A show like West Side Story has separate copyrights in the words (literary work), the choreography and the directions (dramatic work) and the music (musical work). Q5. Who owns the copyright in a collection of images? A. Each image has its own copyright just like the articles in a periodical. However, there will also be a copyright in a compilation made up of images. It may also be a database depending on the way the collection is put together. Q6. Who owns the content of a sound recording? A. It is very important to distinguish between the copyright in the sound recording and the copyright in the material recorded. Example: A recording of a song by the Beatles has all sorts of copyrights – the song, the music, the arrangement and the performance. In addition, there is a copyright in the actual sound recording, which is quite separate. Q7. Is it permitted to show films and DVDs in libraries? It is permitted only if they are viewed by one person at a time through dedicated terminals where others cannot watch at the same time. Showing them to groups, even for educational or children’s use, requires a licence either from the Motion Picture Licensing Corporation (MPLC) or Filmbank. Q8. Who is the author of a database? A. Apart from the fairly rare occasion when a database has a personal author, the author is defined as the maker of the database. The maker of a database is the person who takes the initiative in obtaining, verifying or presenting the contents of the database and assumes the risk of investing in those actions and therefore obtains the database right. Makers cannot qualify for this right unless they are individuals with EEA nationality, or companies/organizations incorporated within the EEA, or partnerships or unincorporated bodies formed under the law of an EEA state. Q9. Is all material on the web copyright? A. Probably. To be safe, behave with material on the web as if it were in paper form. If you would not copy or distribute it in paper form, then do not do so in electronic form, unless the owner specifically states this can be done, which many website owners do. Q10. Who owns the copyright in a work bequeathed to a library or archive? A. There is a special additional exception for unpublished works. When an author leaves unpublished manuscripts or other materials of which they are the author to a library, archive or museum as a bequest, and their will does not specify any other arrangements, the presumption is that the copyright is also transferred to the library, archive or museum. They may specify differently in the will; if they do, this will affect the way the unpublished material can be used. If the work is deposited by the author during their lifetime or deposited by the family but copyright is not assigned to the library or archive, then copyright remains with the author or their heirs and successors. The author is always keen to hear from users of the book and additional information that could usefully be included. This guest post from Jane Secker and Chris Morrison originally appeared on the CILIP blog last year to coincide with the publication of the second edition of Copyright and E-learning: a guide for practitioners. We are re-publishing the blog now in the lead up to the CILIP Copyright Conference on Friday 7th April at which both Jane and Chris are speaking. The book covers copyright law and its relationship to e-learning or on line learning. It is designed to be read by practitioners and so it tries to offer pragmatic advice on a range of topics issues from digitising orphan works, to lecture recordings, the use of social media and MOOCs. We tried to write the book in a jargon-free easily digestible way, to hopefully make it a practical guide for learning technologists, but also teachers, lecturers and other learning support staff in higher education, schools, further education and even in a workplace learning setting, where online learning is used extensively. Realize that everything is about risk and there are ways of mitigating the risk. For example, devising helpful and timely education and training programmes, but also having institutional policies such as notice and takedown policies on the VLE or any online platform where content can be shared. You will need to decide how comfortable you (and your institution) are towards risk if you decide to rely on copyright exceptions, or are not sure whether a licence covers what you wish to do. Break down any copyright query into its constituent parts – what type of copyright works does it concern, how will they be used, are there any licences that might apply and finally could a copyright exception come into play? This inevitably requires developing your own technical knowledge to tackle these queries and we’ve provided numerous examples of further resources and training that might help you in the book. Use empathy – in any given situation understanding what someone is actually trying to do when they approach you with a copyright query is helpful. However empathy is important from both sides so try to get the person to think about what the creators and rights holders of a work had in mind too. Ideally this will help you put your copyright support work in context and frame it as a collaborative enterprise. Understand that there is lots of great ‘stuff’ available for free or under liberal licence terms, such as Creative Commons. Many people are happy to share their work with you provided they are credited, particularly when it’s for educational use, but recognize that there are often good reasons why some content costs money or is not available to you. Recognize that good manners go a long way – asking nicely, giving credit and building creative networks are a fundamental component of education and research. Over time you can build up your network of contacts, and often knowing the right person to ask will give you access to a wider network of resources which can be used at little or no cost. Remember, you are not alone. It’s easy, particularly if you are faced with a tricky copyright situation to feel you are expected to know all the answers and this clearly isn’t going to be possible and no one is an island. So build up your support network, both within your organization and externally, and get to know a few copyright experts who can help you out when you get stuck! If you’d like to find out more about the book you can visit our website where we have made the list of further resources available. You can also find out about some of the copyright education initiatives we’d been involved in recently. If you are interested in hearing more about some of the challenges related to copyright and e-learning, you may also wish to listen to the recent podcast we recorded with James Clay. We also plan to make the sixth chapter from the book, on copyright education, available on open access. Since the book was published in June 2016 Jane and Chris have been busy. Jane started a new job at City, University of London after Easter as Senior Lecturer in Educational Development and Chris is completing his Postgraduate diploma in Copyright Law at Kings College London. Jane and Chris are presenting at the CILIP Copyright Conference, Jane is keynoting at CILIP Wales in May 2017 and both Jane and Chris are keynoting at CILIP Scotland conference in June in Dundee. They will be speaking about their research into librarians experiences of copyright in their professional lives. Work is also continuing apace to develop educational games for copyright education. Copyright the Card Game is being adapted for US law and a prototype of the game has been produced by Paul Bond a librarian at University of Pittsburgh, Johnstown campus. There is also work being undertaken to develop an Irish and Canadian version of the game. Chris and Jane are also demonstrating a prototype of their new game, The Publishing Trap, at LILAC 2017 on 10-12 April in Swansea. This game was the runner-up in the Lagadothon games competition and is aimed at early career researchers to help them understand the choices they make about scholarly communication and sharing their research. 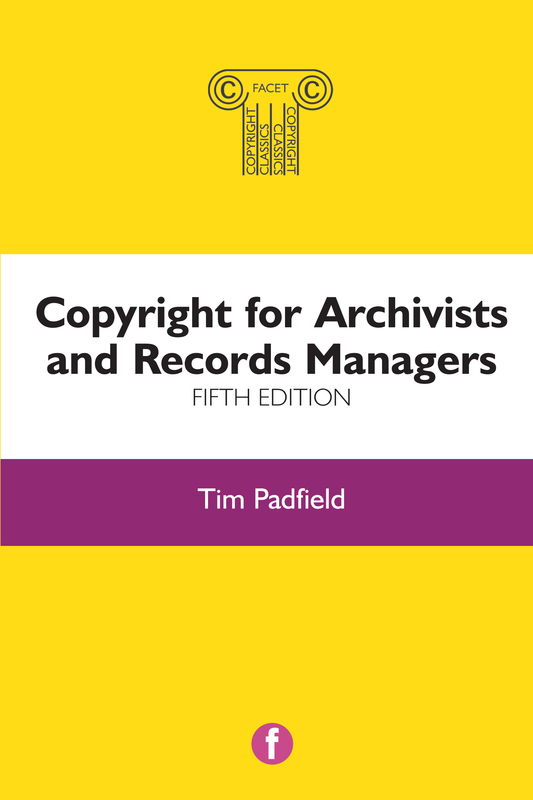 This guest blog is by Paul Pedley, author of Practical Copyright for Information Professionals. The year 2014 was significant for librarians interested in copyright law, because it marked the culmination of many years of lobbying for the law to be changed to take into account the needs not only of rightsholders, but those of copyright users too. The library exceptions were completely rewritten (apart from one exception relating to lending of copies by libraries or archives); a number of new exceptions were introduced such as one for parody, pastiche and caricature, and another for the purposes of quotation; and some of the existing exceptions were amended to ensure that they couldn’t be overridden by contracts. A national library has provided sound recordings to individuals who aren’t able-bodied and who are unable to visit in person. A number of libraries in the higher education sector are now content-mining sound recordings. A national museum has used the dedicated terminals exception to provide access to digitized papers which are too fragile to be displayed. Museums are using the preservation exception to make digital copies of their collection items. The library of a musical conservatoire has used the illustration for instruction exception to reproduce excerpts of sheet music and audio tracks and upload these to the VLE. A number of libraries have been receiving copyright declaration forms electronically, which has been of particular benefit to distance learners. While these changes were welcomed by libraries, there is still plenty that librarians would like to see changed. The “London Manifesto” was drafted by LACA, the Libraries and Archives Copyright Alliance. The manifesto calls for fair copyright reform for libraries and archives in Europe. One of the wishlist items in the manifesto is an “open norm”. This would allow for copyright users to benefit from technological innovations straight away because it would be a more flexible exception than the ones we have at the moment, whilst respecting the rights that copyright holders have. It would be possible to do so, because the exception would be subject to the Berne “three-step test”. Meanwhile EDRi believes that a modernised copyright regime is needed, one which takes into consideration the needs of all parts of society, including creators. They have a list of “copyfails” which include digital rights management systems restricting lending and borrowing of books and music in digital format; and not allowing research using text and data mining where this is for a commercial purpose. The problem, of course, is that every year government departments have to compete with one another to get parliamentary time to implement legislation; even when there is a will to do so. The sheer complexity of Brexit will inevitably mean that there will be a lot of other things that will take priority over and above changes to copyright law. All of which would suggest that we should look on the 2014 copyright changes as a significant achievement, and after all the effort that went into bringing about those changes libraries should ensure that they make full use of the benefits that those changes brought about. Paul Pedley is currently at City, University of London studying for a PhD on Protecting the privacy of library users. He is the author of several Facet Publishing books including Practical Copyright for Information Professionals (2015). He tweets as @priv_lib, and blogs at www.libraryprivacyblog.wordpress.com. an exploration of how information professionals working in the corporate sector can copy material legitimately, and highlights where this differs from practitioners working in not for profit publicly accessible libraries. Practical Copyright for Library and Information Professionals is an indispensable guide for library and information professionals; it will be useful for academics and researchers, and it will also be essential reading for anyone wishing to use copyright material legitimately. Graham Cornish provides answers to ten tricky copyright questions in this blogpost. For further detail and answers to 851 other copyright questions see the newly-released fully up-to-date sixth edition of his classic book, Copyright: Interpreting the law for libraries, archivers and information services. Q1. 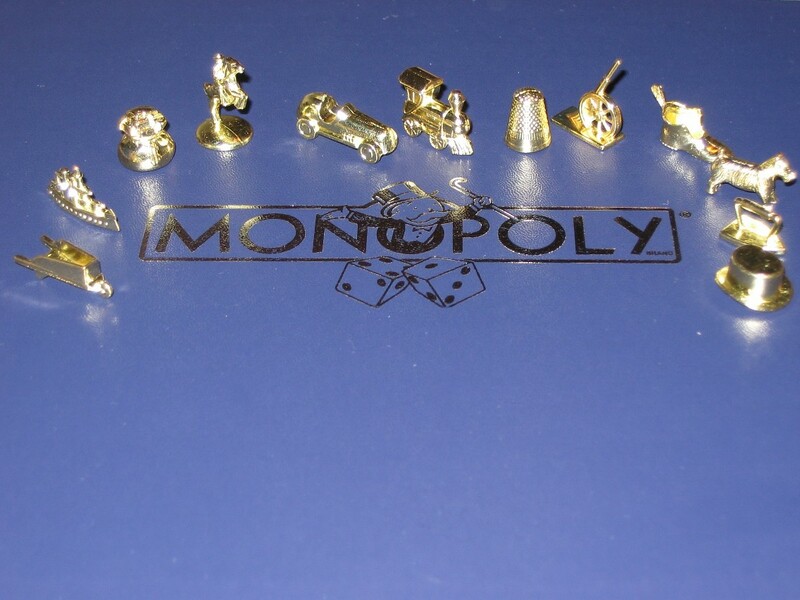 Is copyright a monopoly? A. Not entirely. If two people create the same thing independently of each other and without actually copying what the other person wrote or made (e.g. two people standing in exactly the same place taking a photograph), then both can claim copyright in what they created, even if they are identical. Q2. Are things like trademarks and logos protected by copyright? A. Yes. A logo is an artistic work and a trademark may well be an artistic work and/or a literary work as well. It is possible for a trademark to go out of copyright but still be a trademark as trademarks can last forever. Q3. Who owns the copyright in a letter? Q4. Can any library make copies of literary, dramatic and musical works for preservation purposes? A. No. They must be qualifying libraries (those that are publicly accessible, are the libraries of an educational establishment and is not owned by or part of a body which is conducted for profit). Q5. Do people who appear in photographs have any rights over them? A. Not under copyright law, but this is an area where particular care needs to be exercised. Although the person taking the photograph (or their employer if appropriate) owns the copyright, the use of that photograph may be restricted by other legal considerations e.g using the image of a famous person to promote a product can lead to claims of loss of revenue because the celebrity would have made a charge for having their name used in this way, even if the copyright in the photograph is owned by the person using it. Q6. Will 3D printing always infringe copyright? A. No. Many items that will be copied using 3D will not be protected by copyright e.g. items of crockery such as mugs or DIY materials such as screws or tools. They are protected by either patent or design right, if protected at all, and making a single copy is not an infringement. Q7. Who owns the copyright in an interview? A. The speaker owns the copyright in what is said but there is no copyright in the material until it has been recorded. Once it has been recorded the speaker owns the copyright in what has been said, but the person making the recording owns the copyright in the sound recording as such. If the interview is transcribed then the person making the transcription may also be entitled to copyright in their transcription. Q8. Who is the author of a broadcast? Q9. Can databases be copied for private use like other works? A. No. The exception for copying for private use it to copyright, not database right, and databases may not be copied for personal use. There are rules that enable some copying to take place but not on the same scale as private copying. Q10. There are lots of websites now where individuals can post their own writings, photos, videos or recordings of songs. Are these protected by copyright? A. Yes. Anything that you create as an individual and put up on any of these sites, chatrooms or blogs is technically your property.